After only a few hours in the old mansion on lonely Randall’s Island, Elizabeth Calder realized that some eerie force was watching over her. Fifty years before, the peace of that house had been shattered by murder and suicide – could it be that a revenge-hungry spirit still walked the halls? Elizabeth was determined to find the truth – and someone was equally determined to kill her before she did. As danger piled on danger and terror on terror, Elizabeth little suspected that, in her moment of greatest need, help would come from the spirit of a woman who had been dead for fifty years! A Ravenswood Gothic. Written by Melissa Napier. Published by Pocket Books October 1973. Luckily, before her self -imposed exile drives her completely bonkers, she receives an invitation from her Aunt and Uncle inviting her over to their place. They are park rangers who live and work on the beautiful but isolated Randall’s Island, just off the Jersey coast and Elizabeth decides some time away in such a wondrous place will be just what she needs to get well again. However, no sooner does she arrive than her imagination starts playing tricks on her again. Or does it? Locals start looking at her funny, muttering darkly about her resemblance to another Elizabeth – an Elizabeth Conway – who died over fifty years ago. Then, on her first night at the island, our Elizabeth is visited by a host of ghostly apparitions – some good, some bad – doing the dance of death in the middle of her bedroom. Confused? I was. 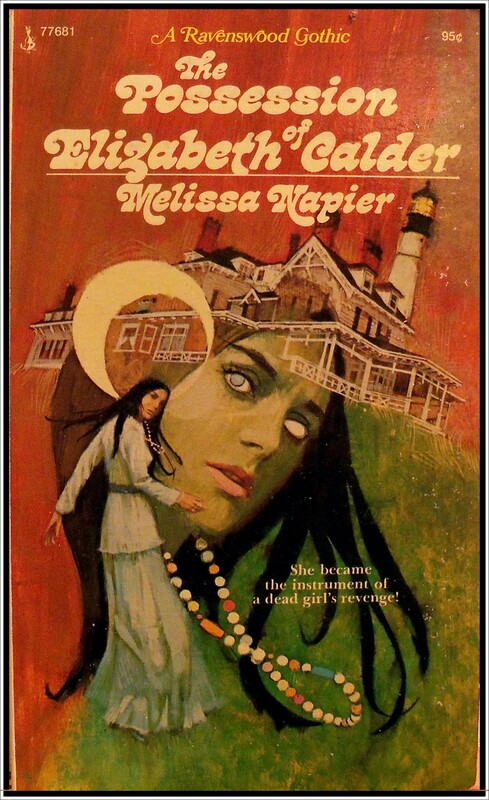 But it transpires that Elizabeth Calder is being haunted by an evil force that wants to kill her as well as the spirit of Elizabeth Conway – a girl whose own lover had jilted her too. Over fifty years ago. And when that Elizabeth’s sweetheart disappeared she was falsely accused of his murder. So she killed herself. Some books read like a perfect summertime romance – there’s no point analysing it too deeply (you won’t find much worth looking for anyway) so best to just pour yourself another drink, relax, lie back and enjoy the ride. The Possession of Elizabeth Calder was like this for me – I had no idea of what was going on (still don’t actually) but our time together was short, sweet and great fun while it lasted. And with a cover this groovytastic, who cares what’s on the inside? Three stars out of five. Pauline Shepherd, offered a job as secretary to wealthy old John Buchanan, finds herself jumping at the chance. For here, finally, is her escape from hectic city life to his isolated mansion on exotic Adrianna Island. In transcribing the journals and diaries he kept, written by Mr. Buchanan’s illustrious ancestors, she soon discovers that the books contain a grave and incriminating secret. Pitted with an anonymous and deadly enemy in a race against time, Pauline must unravel the mystery and learn why the women of Adrianna have fallen prey to violent and untimely death – or she herself must die! 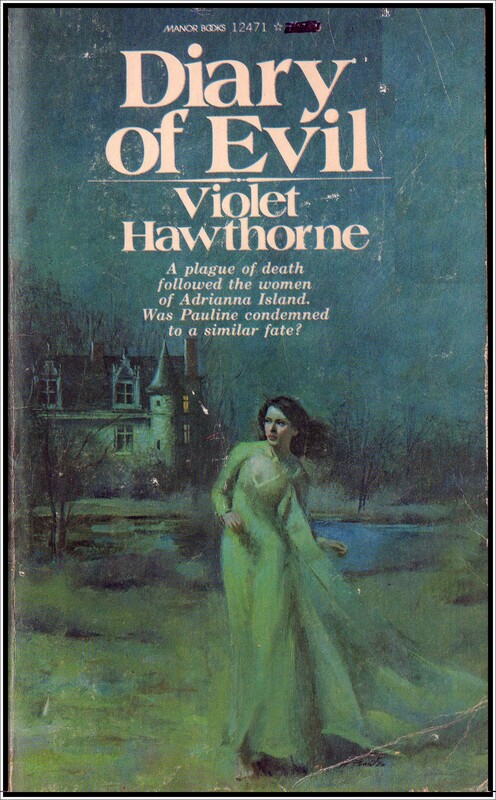 Written by Violet Hawthorne. Published by Manor Books 1977. Cover art Harry Barton. I was asking myself this question because Diary of Evil – a relatively recent acquisition to the Love-Haunted library – has some suspicious, albeit rather beautiful, vermiform patterning embellishing its pages. Well, a few hours later and I know exactly what bookworms are – my shameless dilly-dallying paying off with the discovery of a rather nice post at a bookshop’s page called Books Tell You Why. Full of facts on ye olde books and on how to look after them properly, there are some great photos of worm-ridden tomes and I loved the post on why that smell of old paper is just so delicious. (Not my copy of Diary of Evil unfortunately – this poor thing just smells rank). The books featured here look a lot more valuable then my tatty paperbacks but I’m guessing hungry beetles aren’t too concerned about such things. So I’m unlikely to be reading Diary of Evil anytime soon, since I’m worried about dozing off with it on my lap, only to be woken by the sound of larvae munching their way through my ears and into my brain, but, musty smells and flyblown pages aside, this cover by Harry Barton is gorgeous. The reproduction on this Manor edition isn’t too great, though looking closely at some of the detailing, I bet the original artwork is stunning. And if you’re looking for an excuse to do something other than what you’re meant to be doing, you can have a look at Books Tell You Why – HERE. 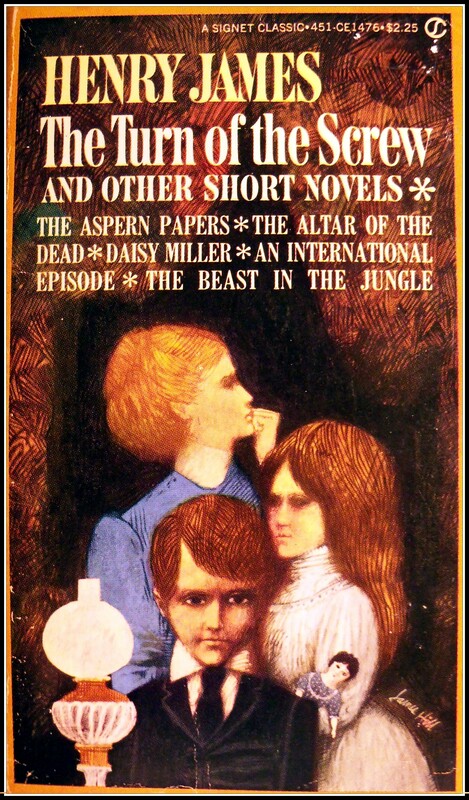 The Turn of the Screw, Daisy Miller, An International Episode, The Aspern Papers, The Altar of the Dead, The Beast in the Jungle. Henry James considered “the beautiful and blest nouvelle” to be the “ideal form” for fiction, and to this genre he brought the full perfection of his imaginative artistry. The themes he chose and the values he set forth in the six nouvelles that comprise this Signet Classic typify the depth and power of his craftsmanship – the unique perception of a writer who unerringly deciphers the mind of a gay and flirtatious American girl among the sophisticates of Europe…the motivations of a man who spends a lifetime waiting to experience his “rare and strange” destiny. Written by Henry James. This Signet Classic edition published 1980. 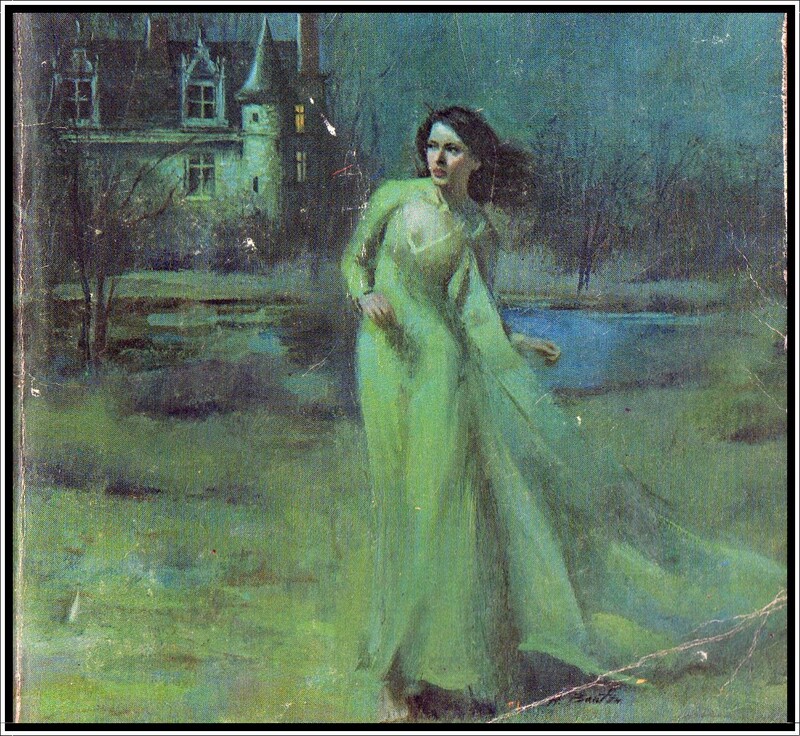 ‘Tis the season for curling up with a good ol’ gothic ghost story and Turn of the Screw is one of my favourites. A real ‘treading on eggshells’ sense of suspense pervades this novella, with everything you need for a chilling winter night’s reading. Originally published in 1898 the best thing about this novella is how artfully James sows the seeds of doubt as to whether the ghosts are real or imagined. Personally I made up my mind years ago the governess was completely barking and not the kind of person you’d want to leave alone with your kids; the conversation she has with the housekeeper after her first sighting of Quint being a great example of how easy people can mislead each other into believing whatever they want to believe. Lots of people disagree however and the ambiguity is part of what makes this tale so engrossing. 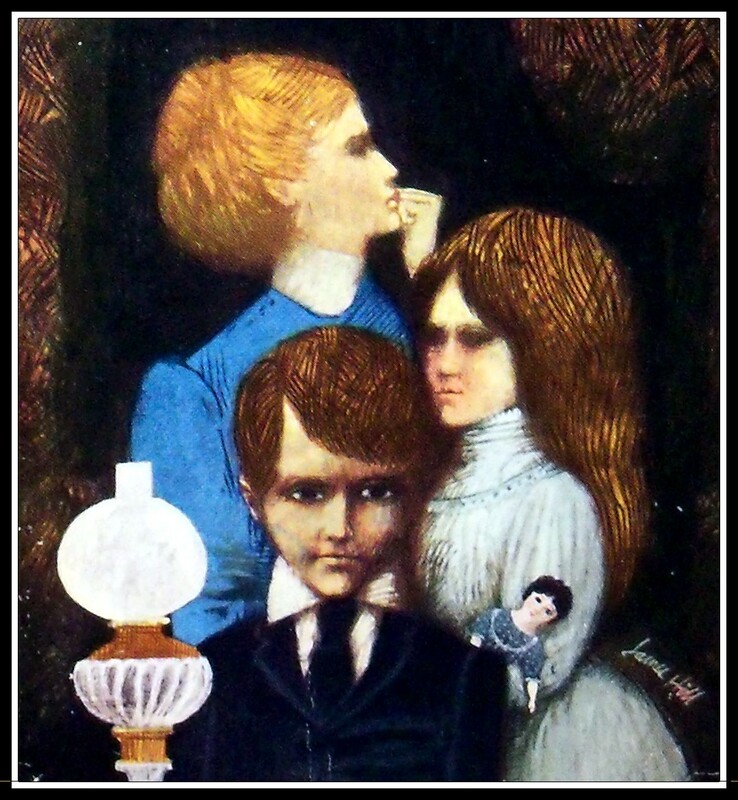 At times the children are almost as sinister as the ghosts and having read this a few times I still find myself asking questions. Henry James’ prose weaves a masterful spell of psychological suspense by allowing the reader room to draw their own conclusions. The isolated setting, unspoken secrets and spiralling emotions all contribute toward creating a truly spooky atmosphere with a shocking climax. 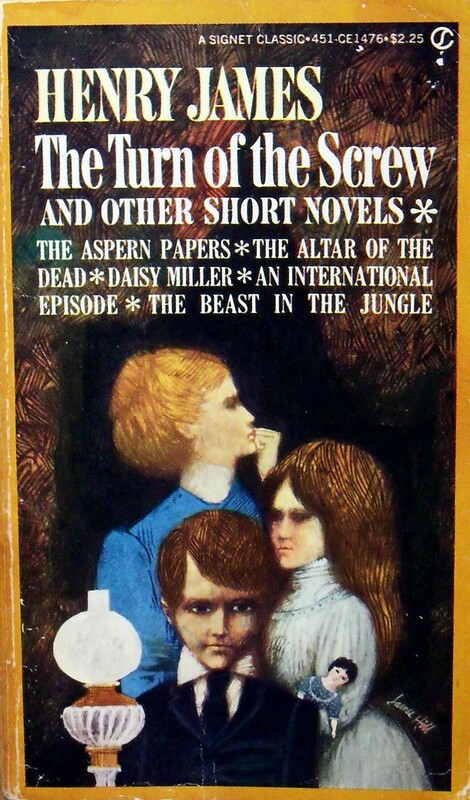 And though Turn of the Screw is the most well known piece in this collection, the other novellas are worth a mention – in particular Altar of the Dead, one of my favourite stories ever. The cover art is lovely and a very distinctive style. 5 out of 5 stars. The smell of must and decay in the room stifled me, and I opened a window – and looked down. The mist swirled over the lake like figures bending and swaying. Surely they were women! Women with hair floatingbehind them like smoke streamers, as they moved together in a macabre dance. Written by Christine Randell. 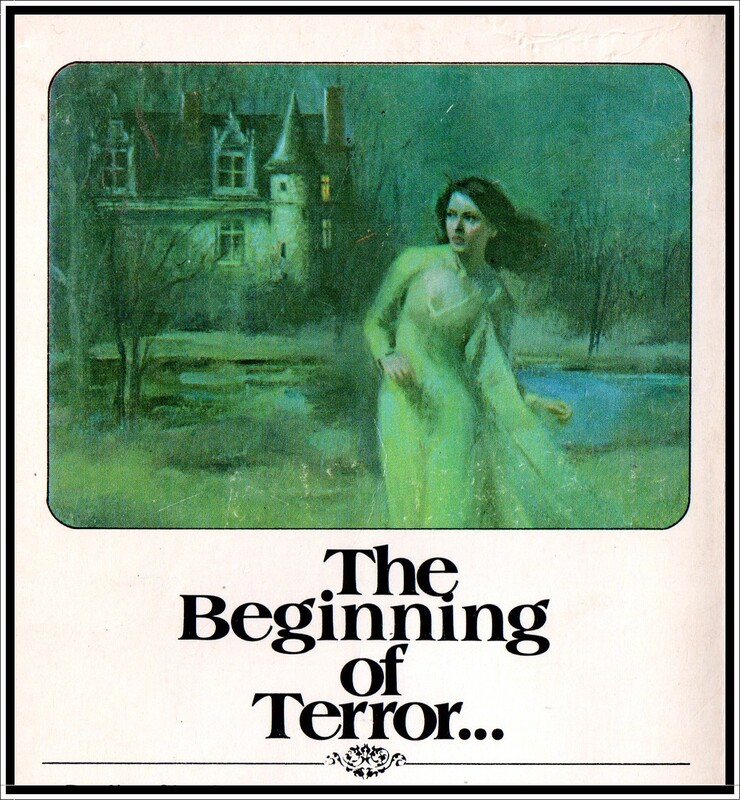 Warner Paperback Library Edition, first printing February 1974. I really enjoyed the last Christine Randell book I read, so I thought I would give this one a go. I’m about half way through and things seem to be shaping up nicely in the gothic department. Deepwater features a beautiful yet vulnerable heroine – Veronica – who has accompanied her elderly friend Camille to a doomy old castle so that Camille can be re-united with her estranged husband – Sir Justin Quinton Brande. Of course the rest of Sir Justin’s relatives do not take kindly to their new guests and soon Veronica finds herself the victim of all sorts of strange goings on. Legend has it the lake at Deepwater is haunted and disembodied voices start plaguing Veronica in her sleep. Disturbing family secrets are unearthed as, shortly after her arrival, Veronica starts seeing visions of Camille’s daughter, Rosalyne, who went missing on the grounds of Deepwater years ago and is believed drowned. 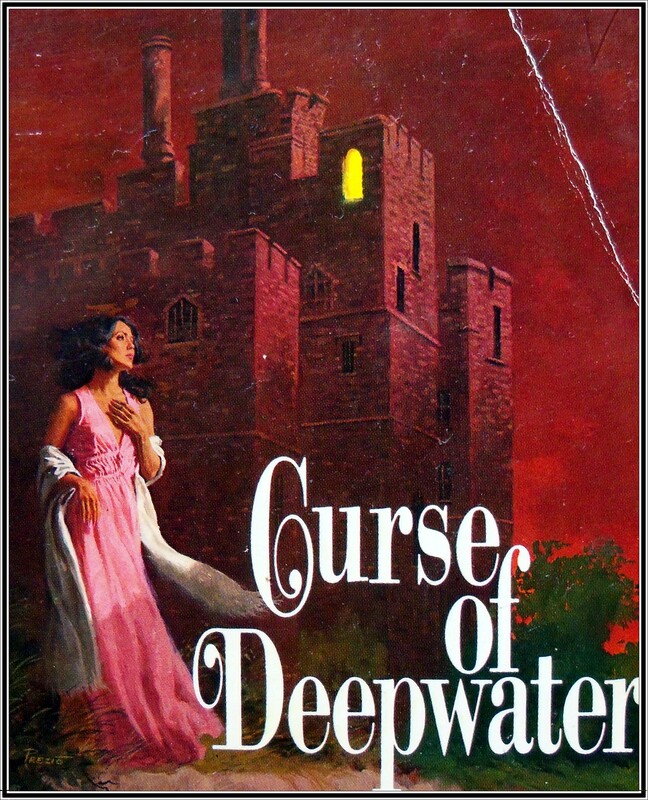 Though Curse of Deepwater lacks the frenetic pace and all out weirdness of A Woman Possessed (reviewed in my last post below) – it reads very well as a gothic, with lots of atmosperic touches and an interesting cast of odd ball relatives lurking in the background, all waiting to pounce on their piece of Sir Justin’s inheritance pie. There is also a potential love interest in the strapping young gardener Tom, but it is too early to tell and, since he was prime suspect in the Rosalyne disppearance, he might well turn out to be one of the bad guys. The cover art is rather lovely too and is credited to Vic Prezio. Unfortunately I’ve not been able to find much about him on the internet and I’d love to be able to see more of his work. Against the eerie backdrop of a demon-haunted house on a small island off the New England coast, this new novel by the author of Hedgerow unfolds a gripping tale of supernatural suspense. Two beautiful young sisters, seeking refuge from the pain of recent tragedy, become the helpless victims of a sinister and hateful force from the past. 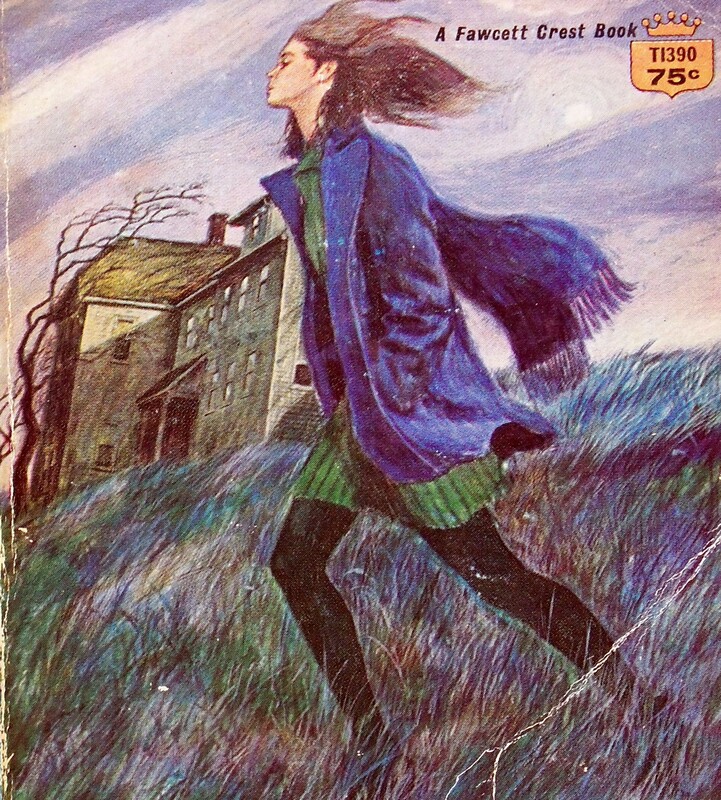 Written by Florence Engel Randall, first Fawcett Crest printing March 1970. Two sisters, Gabrielle and Elizabeth, are recovering from the dreadful aftermath of a car crash that has left both their parents dead. Elizabeth escapes completely unharmed but her sister, Gabrielle, was left hideously scarred and had to have reconstructive surgery to her face. In order to aid her younger sister’s recovery, Elizabeth rents an isolated old house in the country, in the hope of providing both sisters with some healing peace and quiet while they try to put the pieces of their life back together. Things do not go too well however; Gabrielle’s bedroom is haunted and she soon finds herself possessed by the revengeful spirit of Alarice. Gabrielle becomes increasingly withdrawn, resentful of her sister and difficult to live with. As Alarice takes over more and more of her mind, Gabrielle finds herself party to a sinister revenge against the house’s elderly owner. 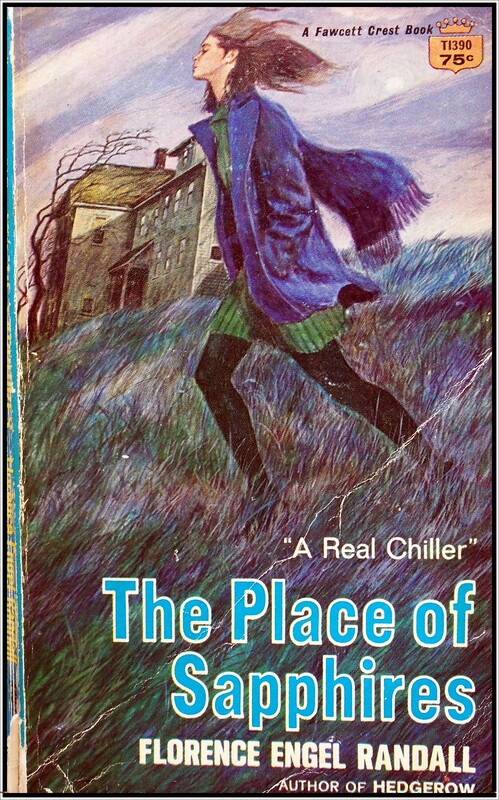 The real clue to this story is in the cover art – usually we see the protagonist running away from a dark, foreboding house lurking in the background. 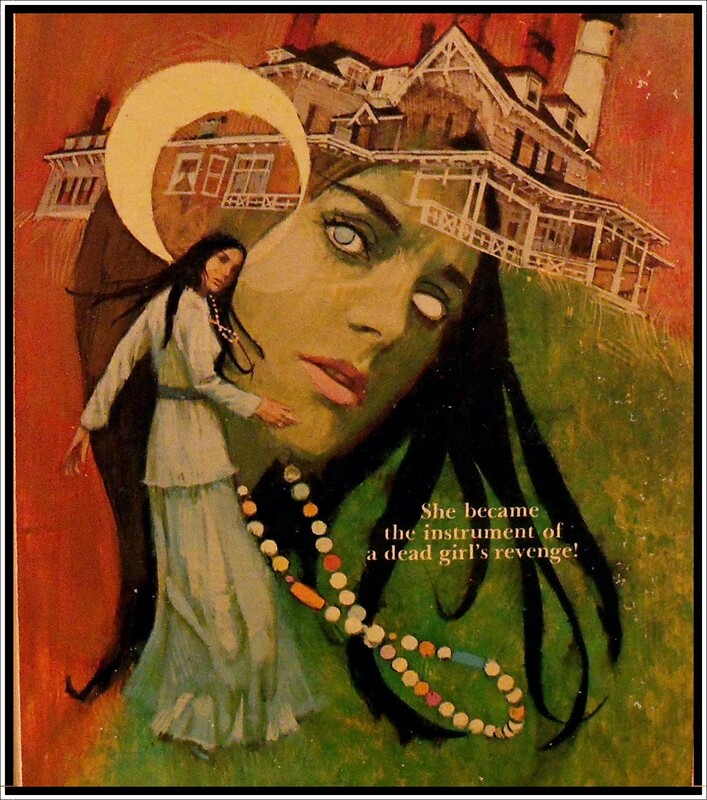 On this cover however, the perspective and brush strokes give the impression that the heroine and her demon-haunted house are somehow allied, bonded together in a mutual pact of evil spookiness. 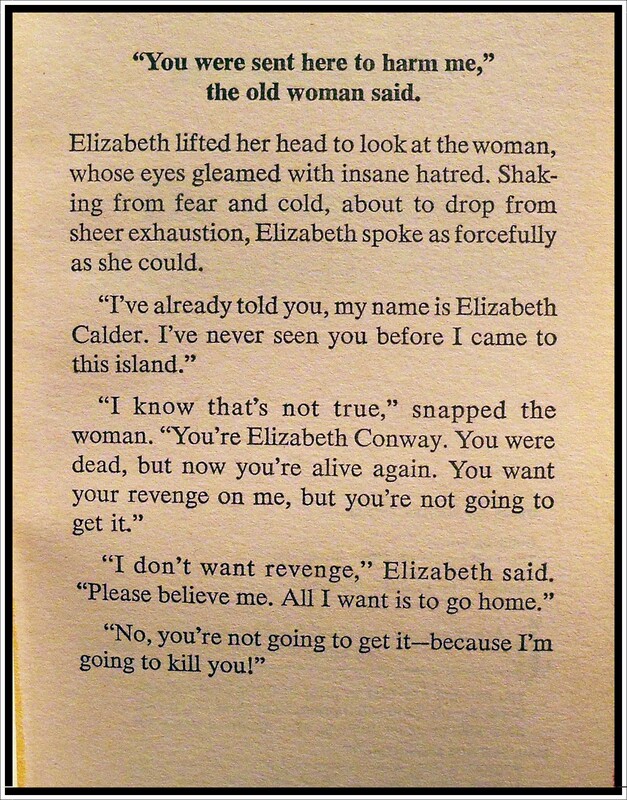 This sums up most of the book, as the main protagonist, Gabrielle, is a more than willing accomplice for the revengeful Alarice, and happy to act out her own repressed angers and resentments toward the people around her. The writing is very effective and genuinely chilling – good haunted house stories need to be built up slowly to be scary and this one is crammed with atmosphere and suspense. It was also refreshing to have a less than perfect heroine who was nevertheless a character you could relate to and sympathise with. 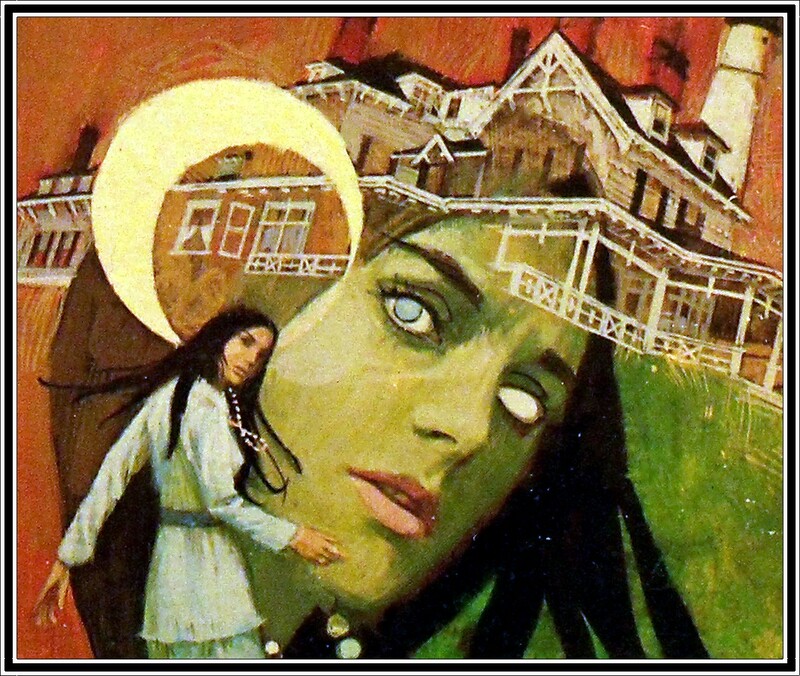 The downside for me was the sudden switch in perspective – half way through the viewpoint changes from Gabrielle to her sister, Elizabeth, which I found a bit confusing and seemed to detract from the overall creepiness built up in the first half. Four out of five stars.